Please, read first the Licence Agreement. 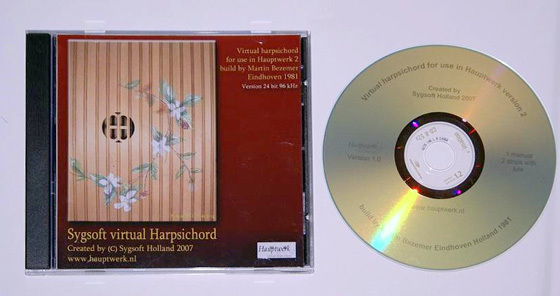 Attention please: Let us know your full address and append "Harpsichord" and send us your address information using this link. de Vloedschuur Heteren (province of Gelderland) No longer available. Attention please: Let us know your full address and append "Eenum HW 1" and send us your address information using this link. Attention please: Let us know your full address and append "Eenum HW 4" and send us your address information using this link. Attention please: Let us know your full address and append "Eenum HW 2/3/4 (Upgrade)" and send us your address information using this link. Attention please: Let us know your full address and append "Krewerd HW 1" and send us your address information using this link. Attention please: Let us know your full address and append "Krewerd HW 4" and send us your address information using this link. Attention please: Let us know your full address and append "Krewerd HW 2/3/4 Upgrade"and send us your address information using this link. 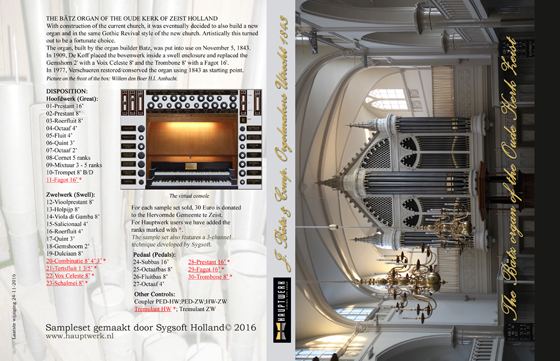 Attention please: Let us know your full address and append "Boezemkerk" and send us your address information using this link. If you like the set you can make a donation. 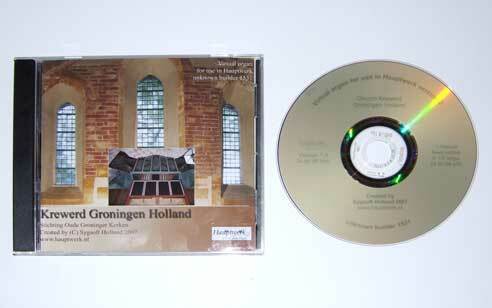 50% of this donation goes to the "Stichting Oude Groninger Kerken" for maintenance of her 58 churches and 30 organs. 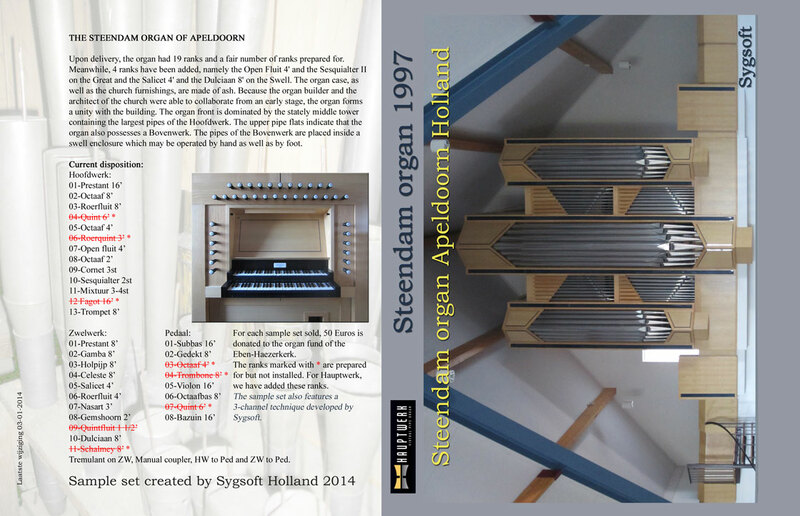 Attention please: Let us know your full address and append "Oosterwijtwerd" and send us your address information using this link. Important: This item is for EU residents and its price is inclusive of VAT (sales tax). 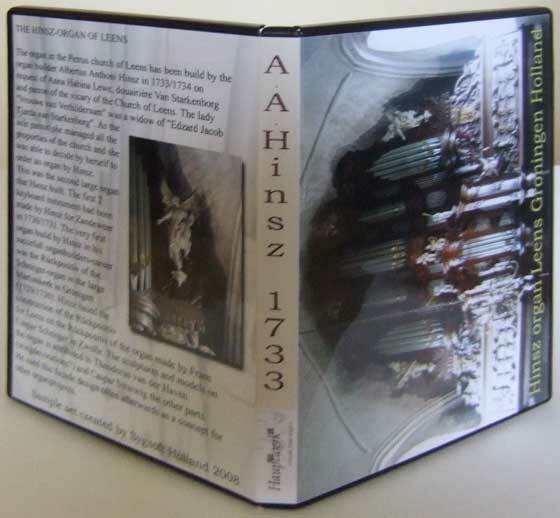 Attention please: Let us know your full address and append "Hinsz Leens HW1 incl. VAT" and send us your address information using this link. Important: This item is for non-EU residents only and its price does not include VAT (sales tax). You must not order this item if you live within the EU, otherwise we will reject the order. Attention please: Let us know your full address and append "Hinsz Leens HW1 excl. VAT" and send us your address information using this link. 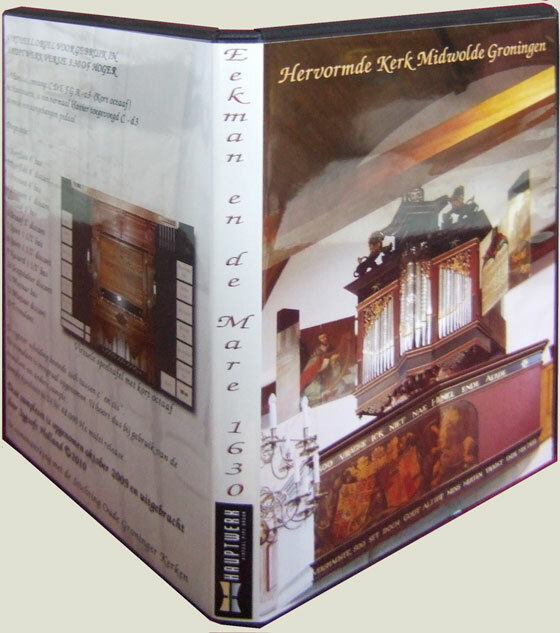 Attention please: Let us know your full address and append "Hinsz Leens HW 4 incl. VAT" and send us your address information using this link. Attention please: Let us know your full address and append "Hinsz Leens HW 4 UPDATE excl. VAT" and send us your address information using this link. Attention please: Let us know your full address and append "Hinsz Leens HW 4 excl. VAT" and send us your address information using this link. 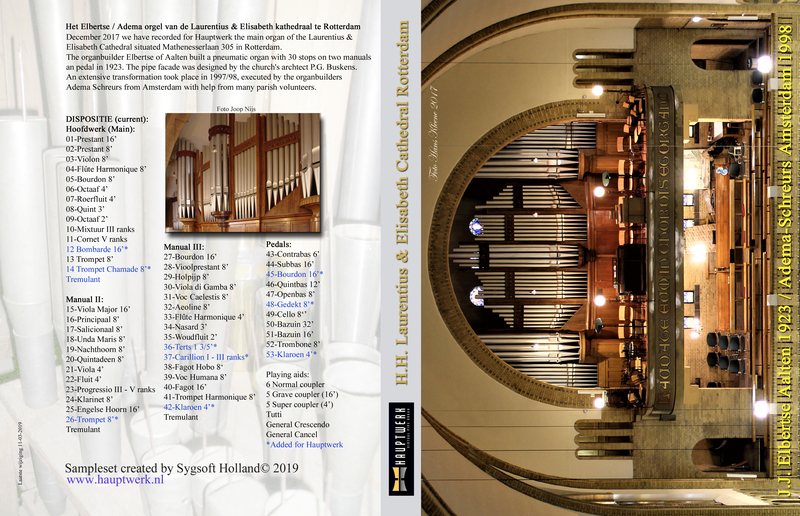 Including a free Christmas-CD played by Dirk Coutigny. 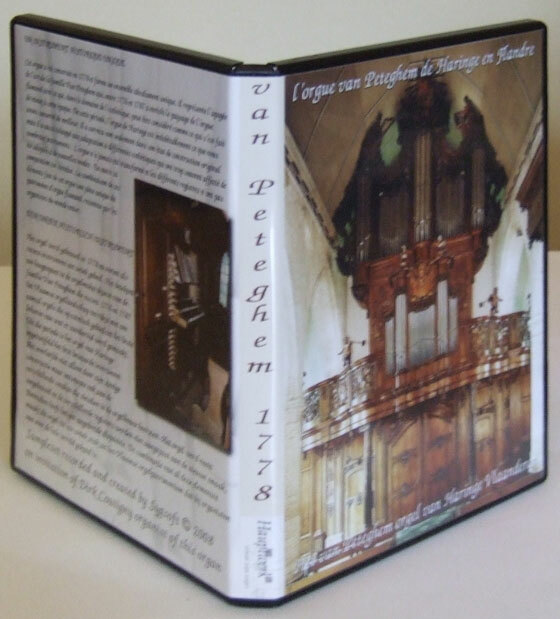 Attention please: Let us know your full address and append "van Peteghem Haringe HW 4 incl. VAT" and send us your address information using this link. 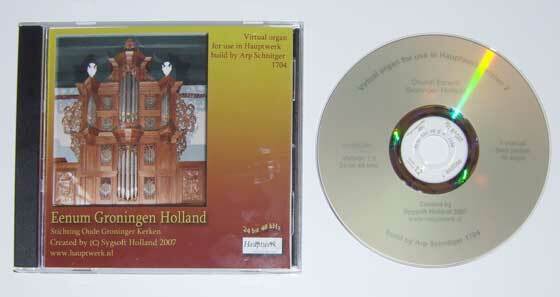 Attention please: Let us know your full address and append "van Peteghem Haringe HW 4 excl. VAT" and send us your address information using this link. Attention please: Let us know your full address and append "van Oeckelen Wirdum" and send us your address information using this link. Attention please: Let us know your full address and append "Roeselare" and send us your address information using this link. Attention please: Let us know your full address and append "Midwolde" and send us your address information using this link. Including a donation of 15 Euro for the parish. 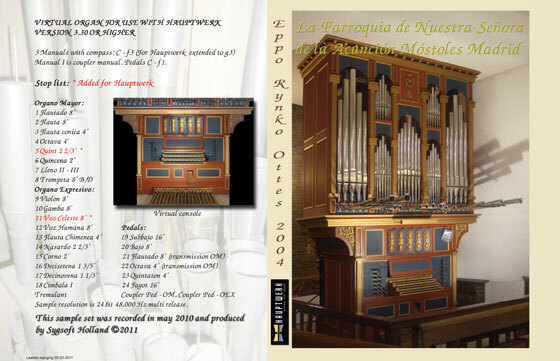 Attention please: Let us know your full address and append "Mostoles incl. VAT" and send us your address information using this link. Attention please: Let us know your full address and append "Mostoles excl. VAT" and send us your address information using this link. 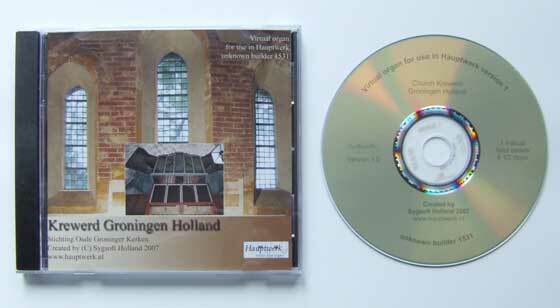 Including a donation of 5 Euro to the "Stichting Hinszorgel Leens". Attention please: Let us know your full address and append "Positief Leens" and send us your address information using this link. 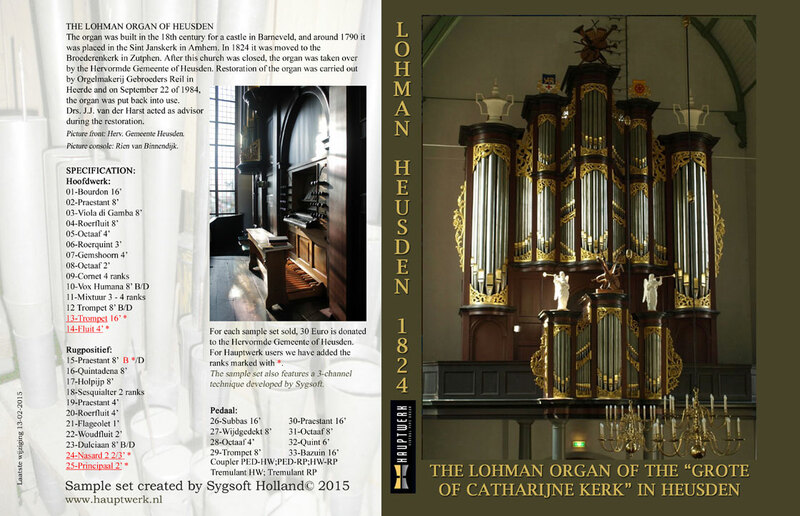 Including a donation of 50 Euro for the organ fund of the church. 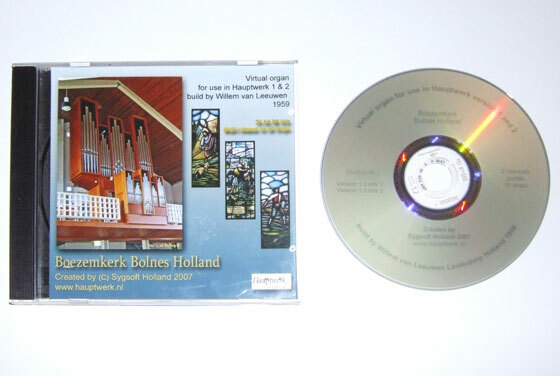 We also send you a CD with installation guide and Demo's. transfer 300 Euro if you want to receive the samples on a 32 GB USB flash drive. Attention please: Let us know your full address and append "Steendam including VAT" and send us your address information using this link. transfer 252 Euro if you want to receive the samples on a 32 GB USB flash drive. Attention please: Let us know your full address and append "Steendam excluding VAT" and send us your address information using this link. 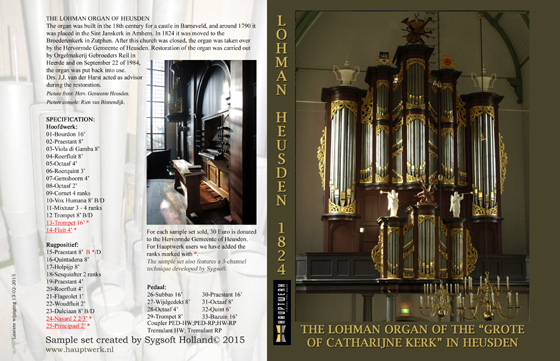 Including a donation of 30 Euro for the organ fund of the church. 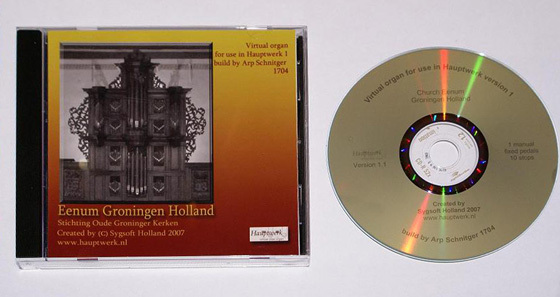 We also send you a CD with installation guide and Demo's. transfer 350 Euro if you want to receive the samples on a 32 GB USB flash drive. Attention please: Let us know your full address and append "Lohman including VAT" and send us your address information using this link. transfer 294 Euro if you want to receive the samples on a 32 GB USB flash drive. Attention please: Let us know your full address and append "Lohman excluding VAT" and send us your address information using this link. Comes on one DVD along with some pictures and demos. Attention please: Let us know your full address and append "Pels & van Leeuwen" and send us your address information using this link. 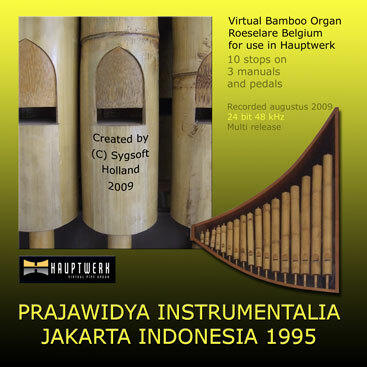 Attention please: Let us know your full address and append "Batz Zeist HW4 incl. VAT" and send us your address information using this link. See payment methods 1 next table. Attention please: Let us know your full address and append "Bätz Zeist HW 4 excl. VAT" and send us your address information using this link. (not included 22,42 Euro for PayPal-payment (3,4% + Euro 0,35)) Including a donation of 50 Euro for the organ fund of the church. transfer 674 Euro if you want to receive the samples on a 32 GB USB flash drive. 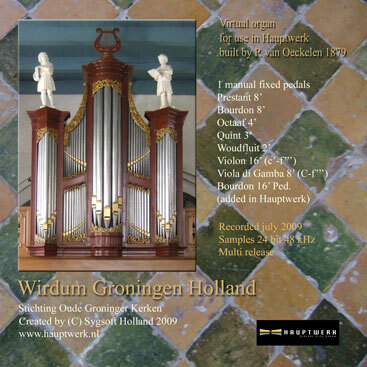 Attention please: Let us know your full address and append "Laurentius Rotterdam HW 4 incl. VAT"
and send us your address information using this link. Important: This item is for non-EU residents only and its price does not include VAT (sales tax). You must not order this item if you live within the EU, otherwise we will reject the order. (not included 24,00 Euro for PayPal-payment (4,4% + Euro 0,35)) Including a donatie of 50 Euro for the organ fund of the church. transfer 561 Euro if you want to receive the samples on a 32 GB USB flash drive. 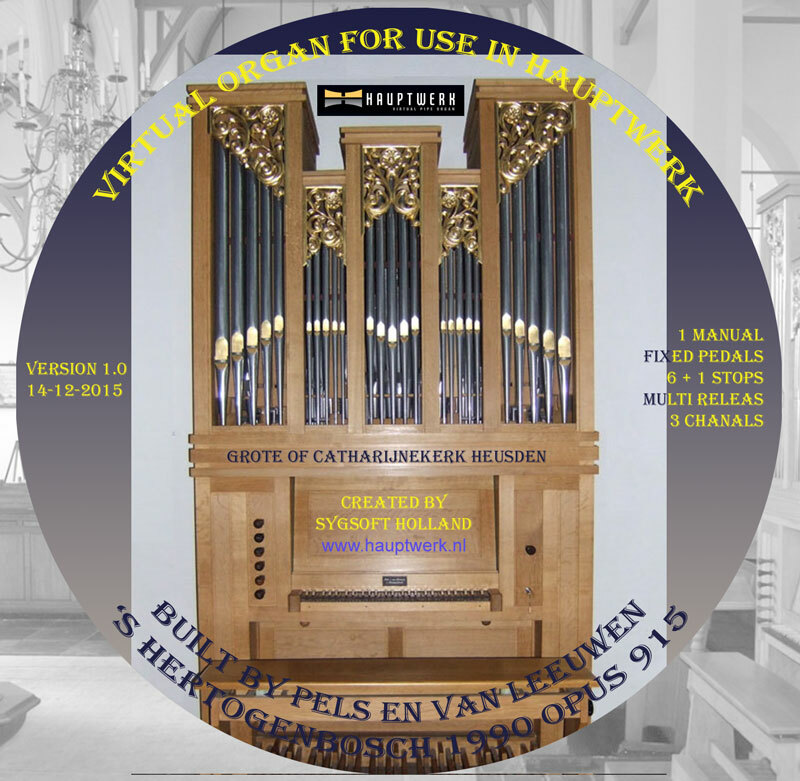 Attention please: Let us know your full address and append "Laurentius Rotterdam HW 4 excl. VAT"
Attention: Add your complete address with the payment and send us your address information using this link. 2nd All over the world you can pay with PAYPAL Click on the PAYPAL button to pay with PayPal Follow the instructions on the screens.